Samsung launched its in-house chip business back in 2010, but it gained traction in recent years when the Exynos SoCs powered many of Samsung's handsets on the global market. The same goes for the ISOCELL CMOS camera sensors that make Galaxy flagships one of the best camera phones on the market. And today, the Korean giant announced that it's bringing Exynos and ISOCELL to the automotive industry. How will Samsung's mobile technologies benefit today's car makers, you may ask. With the push for smarter and safer cars, the industry needs more advanced sensors and computational performance. Here's where Exynos Auto and ISOCELL Auto come into play. In a blog post, Samsung briefly explains what the Exynos Auto chips and ISOCELL camera sensors are capable of. The Exynos Auto SoCs are tested in the harshest conditions making them extremely reliable. 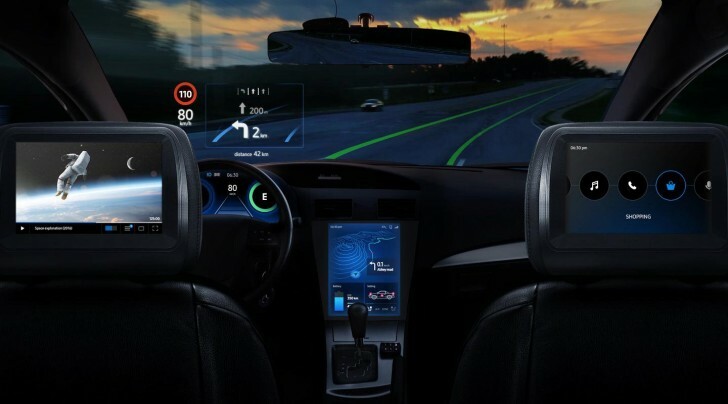 They are also grouped into three sub-categories - Exynos Auto V takes care of the in-vehicle infotainment system, Auto A is used for the advanced driver-assistance systems while the Auto T-series are used for the telematics. The ISOCELL Auto sensors want to become your car's eyes. Samsung brings its a-game by implementing all the know-how from its ISOCELL cameras - the company promises that the ISOCELL Auto sensors are capable of capturing more details in the dark resulting in more precise object identification and better low-light visibility. Applications allow the vehicle to perceive potential road hazards even in tunnels and "other high-contrast environments." The Exynos Auto and ISOCELL Auto products will be showcased during the International Suppliers Fair (IZB) in Wolfsburg, Germany on October 16. I don't hear any SONY name.